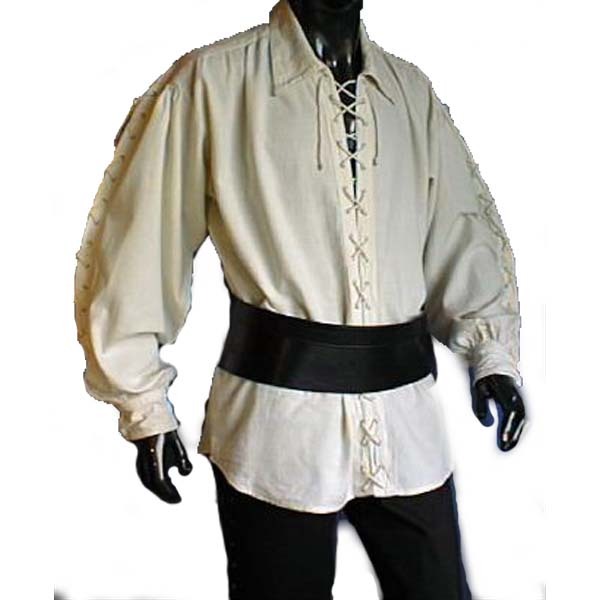 “Nothing says pirate like a man hanging from rigging, shirt billowing in the breeze and the swell spraying his crew as he yells a battle cry. 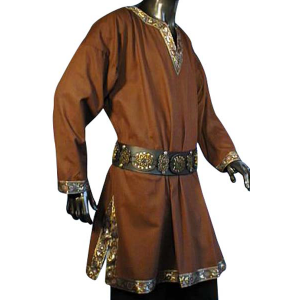 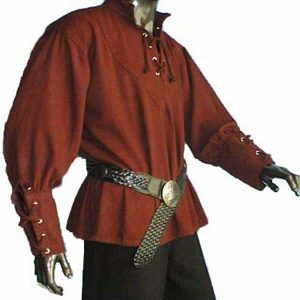 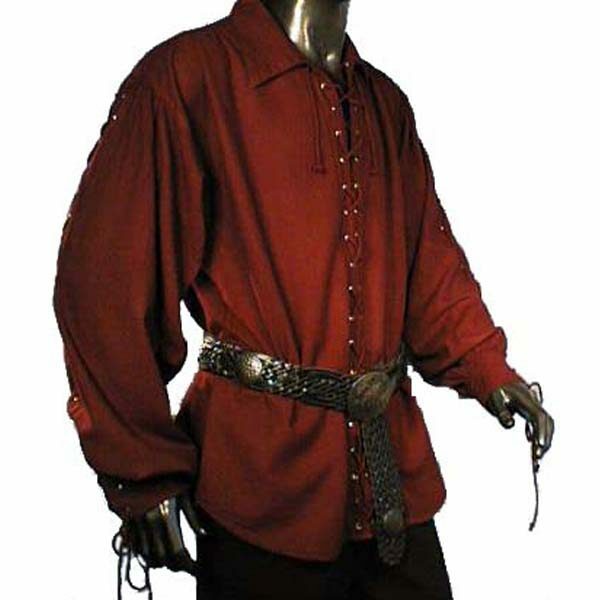 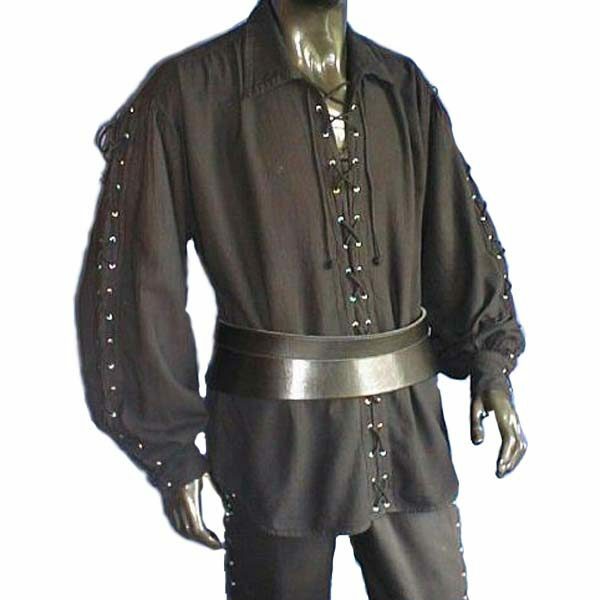 You could be that pirate with this Laced Up Renaissance Shirt, which laces up all the way up the front and includes a wide collar to allow it to be worn as part of a layered outfit under cloaks or robes, depending on your rank on the ship. 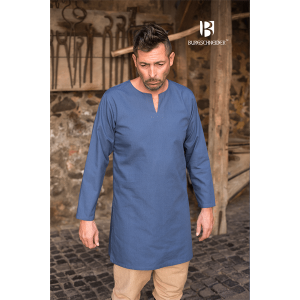 The full length sleeves lace all the way to the shoulder, again allowing it to be worn loose or tight however you wish to style your look.